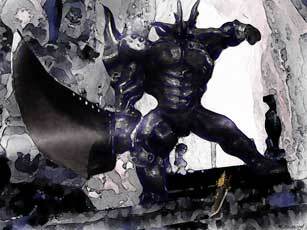 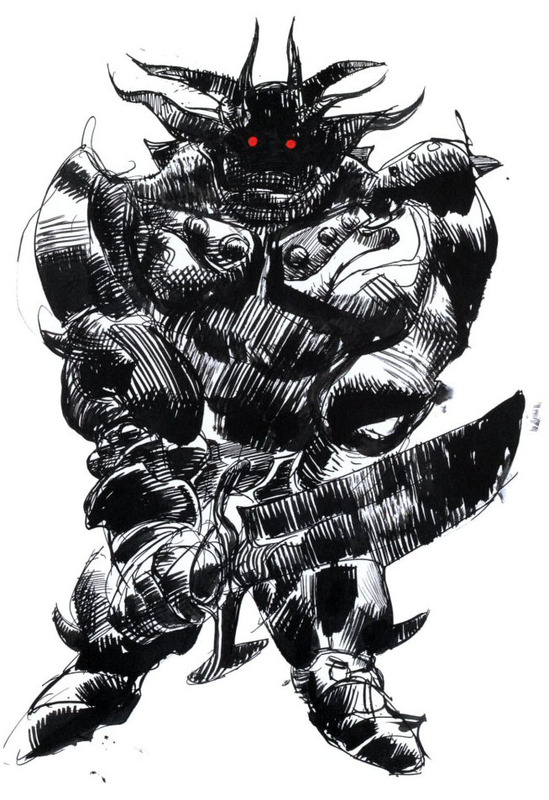 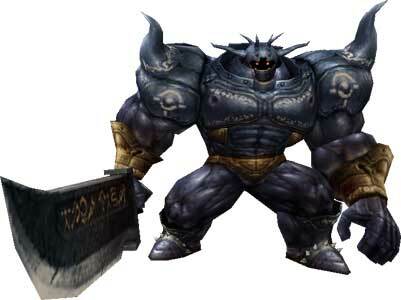 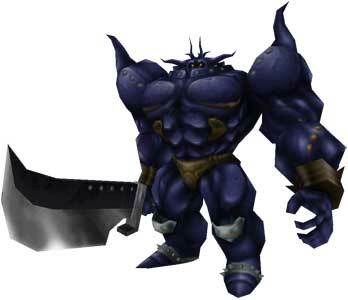 The Iron Giant is a recurring enemy type in the Final Fantasy series. 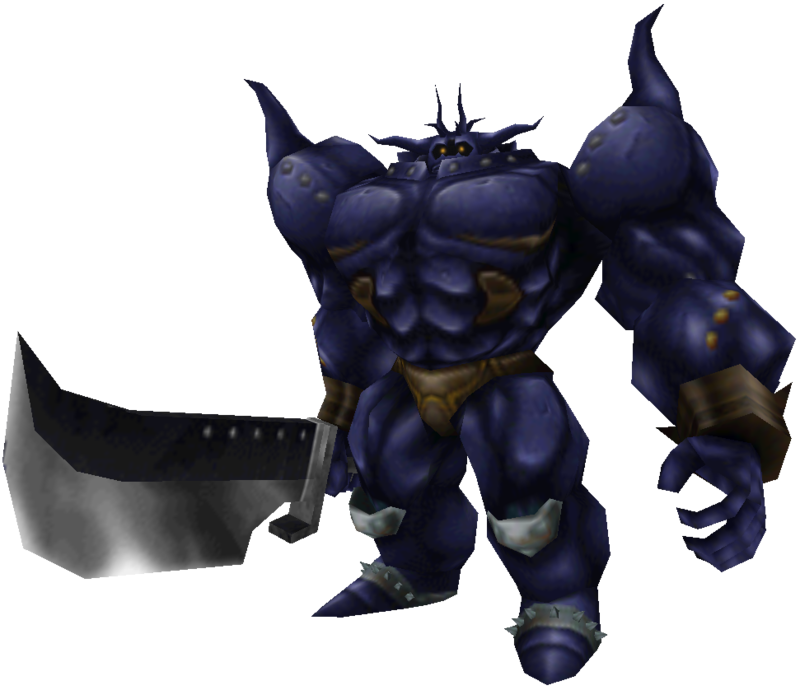 He made his debut in Final Fantasy II (1988) already and appeared in nearly all the later Final Fantasy games, big exceptions are FFVI, FFXII and FF XIII. 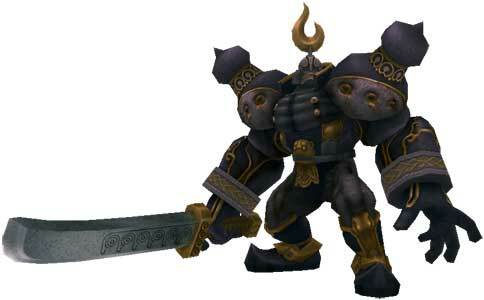 The currently latest Final Fantasy games with the Iron Giant as enemy type are World of Final Fantasy and Final Fantasy XV, both released in 2016. 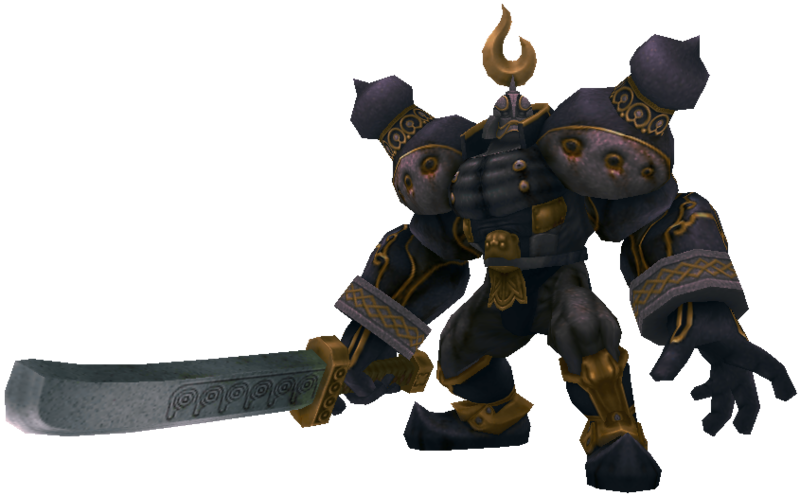 The Iron Giant is a mighty foe and often appears in the later parts or even the final dungeon of the games, in some it is a Boss as well.